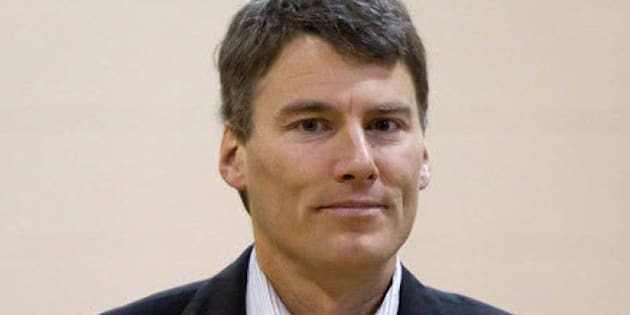 Vancouver Mayor Gregor Robertson is moving to new digs in Kitsilano near a proposed bike lane, a move that has prompted him to recuse himself from voting on matters related to the project. Robertson and his family have purchased a home within a block of York Street, close to a route for a proposed Point Grey-Cornwall bike lane that has been controversial with residents in the area, Metro News Vancouver reported. The Mayor's office issued a statement saying that the family is downsizing now that their children have graduated from high school, and that there is no legal conflict with voting on the bike lane. But the statement also pointed out that Robertson is pulling out of votes on the bike lane anyway, "out of an abundance of caution." The mayor's office issued the news release in response to a blogger who wrote about the mayor's home. The news release did not identify the blogger, but the mayor's office confirmed they were talking about a post on the blog, "Whispers from the Village at the Edge of the Rainforest." The blog post asks whether Robertson is "bailing" on the city's real estate market and trying to "dump his over valued - and overpriced - home" near Douglas Park. Robertson's home is listed on the market for $1.95 million, The Province reported. The house has five bedrooms, a one-bedroom suite, a new roof and new electrical and plumbing equipment, according to a listing on Realty Link Online. The Mayor’s family is selling their home and downsizing now that their kids have graduated high school. They recently purchased a new home in Kitsilano within a block of York Street. For security reasons we don’t disclose the specific location. We ask the media to also respect the family’s privacy. In recent weeks the Mayor apprised senior staff, including the City Solicitor, of this property transaction and they were requested to provide advice and a legal opinion on any possible conflict that the Mayor might be in with regard to future decisions of Council related to the Point Grey/Cornwall bike corridor.